From down a country lane, amongst some of the best vineyards in Australia comes some fine spirits. Regular readers will have noted that I’m currently on assignment professionally in Melbourne + the beautiful Mornington Peninsula. This is very agreeable as it expands my Martini and Gin adventures scope considerably. I’d known of Bass and Flinders Distillery for a while, but it wasn’t readily available except through cellar door. Established in 2009, it can be considered something of an old-hand in the Australian craft-gin scene, and they’ve been quietly getting on with business ever since. So it was interesting sampling their gins and putting them into the wider context of the new kids on the block. So when fate brought me within a short drive of the place I made a bee-line to the place the day after driving to Melbourne from Canberra. Well, it was a very thirsty drive! 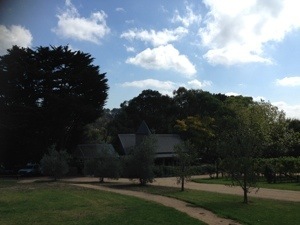 Situated amongst some discrete and beautiful properties in the Red Hill area of the Mornington (just over an hour south of Melbourne by car), I found what I was looking for. Note, local regulations mean that you won’t see a Bass and Flinders sign at the gate, look instead for Darling Park Winery. A picturesque setting complete with a tasting room and cafe bodes well. As it turned out, this was the day after they had launched their new Sheerwater Vodka the night before, complete with Swedish songs and food in the gardens apparently to mark its Scandinavian inspiration, so whilst everyone was moving about gingerly, they were more than hospitable and showed me about. Co-owner Bob Laing was on hand (Wayne Klintworth is the other partner) and he took time to give me a taste of the range and showed me where the magic happens behind the visitors centre in a shipping container. He told me it positioned so as to placate the well to do neighbours who had objected to what they thought was going to be a large commercial distilling operation in the early days. Tucked at the end of the shed was a modest R2 D2 looking contraption: a 300 litre Alembic still, using the French Charente distillation method, producing premium grape spirits. Note the grape spirit, being a wine maker as well, it was a natural evolution for Bob to use what was on hand, and the gins are triple distilled with botanicals infused vapour infusion in small batches. To my palate this gives the spirits a more rounded mouth feel and softness compared to grain spirits. They produce 3 gins, a vodka, plus limoncello, grappa and eau de vie etc and a Napoleon Cognac (though it can’t be called that) is also in the works. One special touch is that they source their water from one of the purest places on Earth- a rain farm at the end of the Mornington Peninsula. They also offer a Gin Experience where you can mix your own botanicals to the spirit and create your own Gin which is later sent to you. Genius. As mentioned that produce 3 Gins: Regular, Moonson (which recently took Silver at the San Francisco World Spirits Competition) and Gin 10. By way of immediate comparison, you may wish to think about Tanqueray, Bombay Sapphire East version and Tanqueray 10 in style. Why I mention those well-known Gins is that I’m on a personal quest to find a premium Australian Gin that has the elegant versatility of Tanqueray, or for my money, the most elegant Gin about Martin Millers. The reason being is simple: the more versatile a Gin is, the more bars and drinks can pick it up and make it their own. 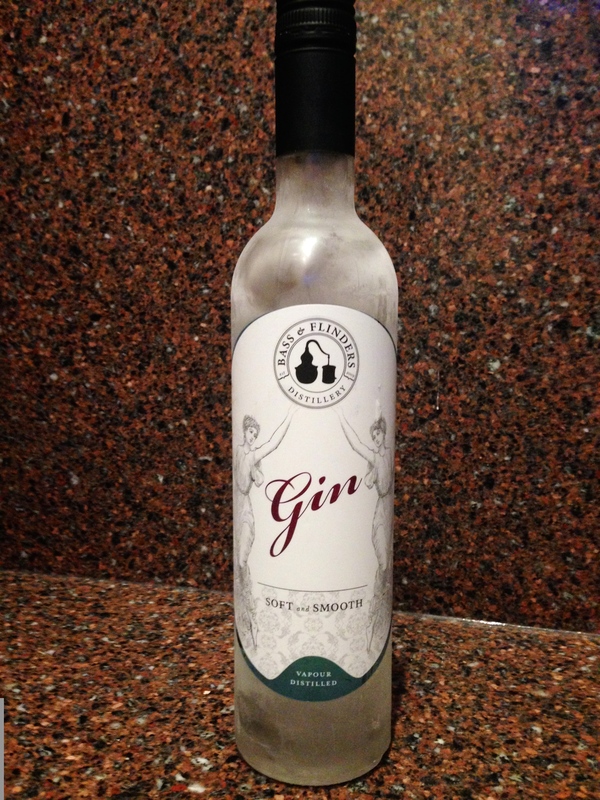 Strongly individualistic Gins, as much as I love them, are by definition, limiting. I’d like to see an Australian Gin conquer the world. Neat (chilled in Fridge for 4 hours): Clean, neutral nose. Forward on the palette, spicy, but very hard to discern any one particular botanical note. Martini: See the picture- and how cloudy this cocktail is, I only used 10ml of Noilly Prat and 45ml of Gin and it didn’t clear until the Gin was room temperature. This was slightly unsettling and not what I was seeking in a Martini. The overall effect was very restrained, and neutral, if not underwhelming I’m sorry to say. Nothing wrong with it, but nothing stood out either. The one note I could pick out was most likely Orris root, or perhaps Angelica, an earthiness that wasn’t unpleasant. The cloudiness may have something to do with the vapour process of distilling…. I note that Dillon’s Gin from Canada purposely aim for this effect. 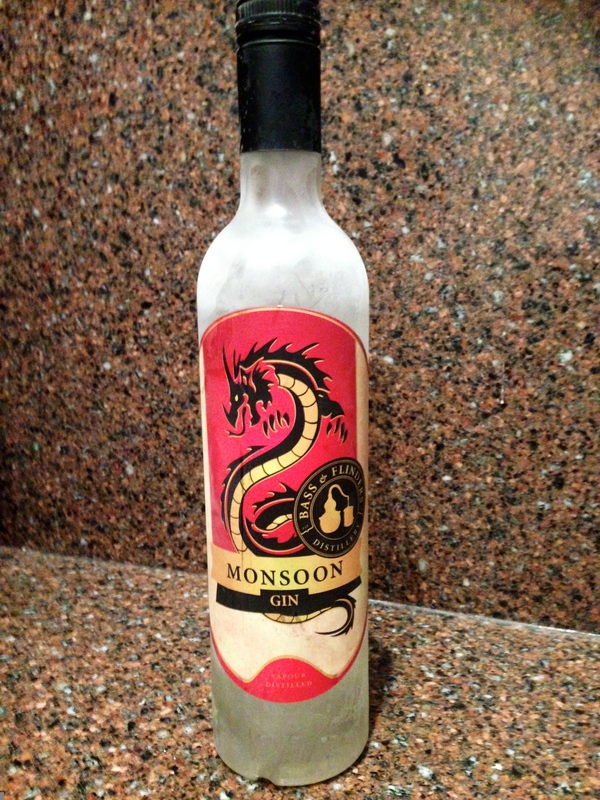 Neat: Much more textured than the regular version, I picked up lemon grass on the nose, and overall very enjoyable. 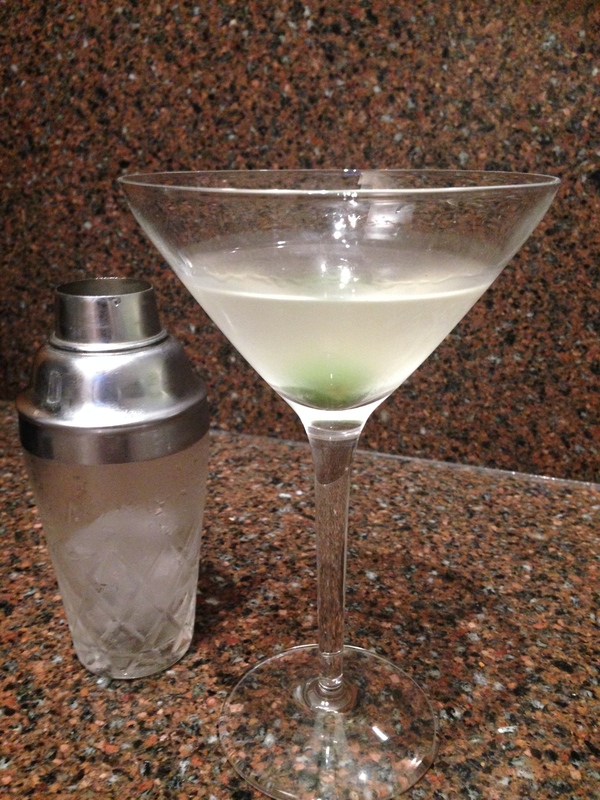 Martini: Again, a cloudy effect. The nose was fragrant and appealing, but subtle. On tasting it, you get a hit of the ginger but overall its quite restrained and elegant. It might be interesting to work with the austere Dolin Vermouth with this and see the difference it makes, but what ever Vermouth you use, dial it back proportion wise. The lingering note is spicy and the coriander definitely comes through at the end. This is a Martini that would sing with the right tapas dishes. You can see why it picked up Silver recently in the USA. A quality Gin. You have to credit the Distillery for being ahead of the curve in aiming to produce a quality Gin long before the new crop came on the scene. The gents involved know their business, and produce a solid range that offers a quality spirit. Oh I do love you being on assignment in foreign lands Phillip. What a treat experiencing through your eyes the wonderful and different offerings our amazing country has. I’m guessing that sourcing their water from one of the purest places on Earth means their product is better right? Does this really make a big difference to the taste? You’re most welcome, glad you appreciate the adventures…have Gin will travel they say. As far as water purity goes, you’d think it would make a difference, the Malt Whisky distillers certainly seem to care about it. Mind you I’ve spoken to local Gin distillers and some I’ve spoken to use regular water or rain water, and their products are first class…. so the distillation process must be the dominate factor in determining quality to my mind. Take Martin Millers Gin- Icelandic water, super pure and for me its perhaps the finest (in the sense of refinement) Gin I know. Not being an expert on this side of things I’d say water purity does matter, but its not a deal breaker.